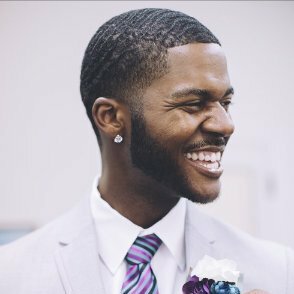 Donovan Livingston, 29, can count on one hand the number of black male teachers he has had in his 24 years of formal schooling—four in total. Livingston, who has an M.Ed. in teaching and learning from Harvard University, is a product of educators—his father is a principal and his mother a speech pathologist. Livingston credits his aspiration to lead a classroom of hungry-to-learn students to his parents. However, statistics show black men are anomalies in school. Black males represent less than 2 percent of the nation’s teachers, according to data released by the U.S. Department of Education. Creating a vicious cycle, black males are also less likely to take on teaching as a career, likely due in part to never encountering a teacher who looks like them. “The lack of male role models of color in teaching, and the potential for feeling disconnected from colleagues and the larger school culture, can often serve as deterrents to considering education as a career,” said Jerrica Thurman of American Association of Colleges for Teacher Education (AACTE). Another factor that has steered black men away from becoming teachers is low salaries. America’s teachers are overwhelmingly white (83 percent) and female (75 percent)—demographics that are stereotyped by media portrayals, according to the Consortium for Policy Research in Education. “When we think about movies, or television shows that depict educators, we often consider Michelle Pfeiffer (‘Dangerous Minds’) and Hilary Swank (‘Freedom Writers’)—the white saviors who risked it all by working in an inner-city school,” said Livingston. Evidence shows that teacher diversity has a positive impact on black students, particularly male. Teachers who share the same race and ethnicity with their students had higher expectations for their students and fostered a community of belonging, according to research by the Albert Shanker Institute, which advocates for education and workers’ rights. Thurman said having more black male teachers will make a huge difference in the lives of students. “Increasing the representation of male teachers of color in the classroom will provide students of color, and more specifically, males students of color, with role models for academic success, as well as teachers who can draw upon their shared experiences to best support and advance the success of their students,” said Thurman. Deyamport III said that aside from teaching, it is equally important for students to see males in other leadership positions. “We need black men in every part of the chain,” he said. “The field of education is broad. For Livingston, successful teaching is about forming good relationships with students. “An educator is only as good as their ability to relate to the students they serve,” he said. “Therefore, it is important for me to form meaningful relationships with all of my students. Those relationships are contingent upon how well I listen, and discover what it is that motivates them to succeed. He says working with black male students and helping them define their own success is especially meaningful to him. “I interact with my students in a way that makes them feel like their voice, their values, and their identities matter,” Livingston said. Retention is an issue across the whole teaching profession, but it is particularly critical for black male teachers, who often work under difficult conditions, said Travis Bristol, former NYC public school teacher and current assistant professor of education at Boston University. Bristol said he only had one black male teacher during his schooling, a high school teacher called Mr. Gaddy. Are Black Males the Only Hope? Can white teachers—who make up 80 percent of the profession—make a difference? Being white doesn’t mean you can’t relate, said Livingston, but it does take self-awareness. “Education programs in universities can better prepare white teachers to fully understand black students by supporting research that deconstructs black students’ experiences in schools,” said Livingston. “In addition to being underrepresented in the classroom and in school leadership, black students (especially black men) are virtually nonexistent in education literature. “Until universities make an attempt to support, fund, and celebrate faculty that address topics on race, inequality, and gender in education, many educators (from all backgrounds) will continue to lack the cultural competence to meaningfully connect with their black students,” he said. There are several programs established throughout the nation to encourage more black males to enter the classroom. In a city as diversified as New York City, 43 percent male students of color (including, black, Latino, Asian) make up the city’s public schools, but only 8 percent of male teachers are of color. The city hopes to hire 1,000 male teachers of color by 2018 with a new initiative, NYC Men Teach. Launched in January 2015, NYC Men Teach is a collaborative effort between the Department of Education, City University of New York, Center for Economic Opportunity, and Teach for America. Nationwide since 1991, the AACTE’s Holmes Scholars Program has been focused on supporting the recruitment, retention, and induction of educators from underrepresented populations. The program provides mentorship, peer support, and professional development opportunities to support aspiring educators. 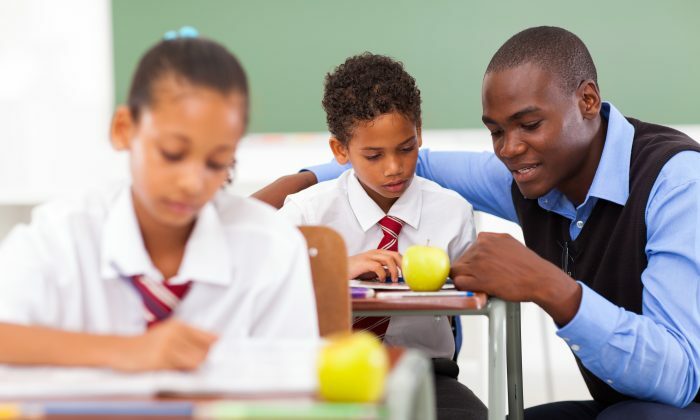 The AACTE also established a program to boost black and Hispanic males into the teaching workforce through mentoring, establishing connections to alumni, and academic bridge programs. Boston University, the University of Connecticut, Western Kentucky University, and William Paterson University of New Jersey are among the institutes participating in the program, called Black and Hispanic/Latino Male Initiative Networked Improvement Community.